Putnam County Playhouse: "LITTLE SHOP OF HORRORS" PUTS NAMES TO ITS FACES AT PCPH! 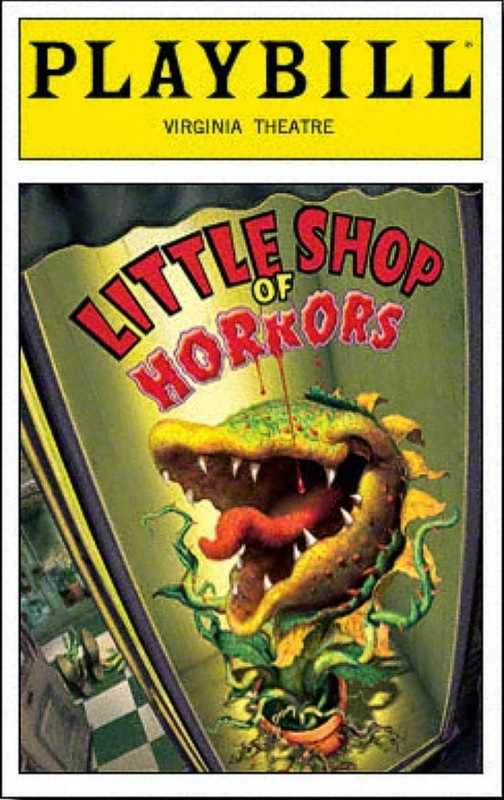 "LITTLE SHOP OF HORRORS" PUTS NAMES TO ITS FACES AT PCPH! Our August production of the rock 'n roll musical Little Shop of Horrors now has its cast. It will be produced August 7-9 and August 13-16. Playing the leading roles of Seymour and Audrey will be PCPH veterans Dustin Bond and Meghan Armitage. The two played opposite each other in Thoroughly Modern Millie. Dustin Bond & Meghan Armitage in "Thoroughly Modern Millie"
Appearing in supporting roles are David Roberts as flower shop owner, Mr. Mushnik, and Jacob Peterman as Audrey's boyfriend, Orin Scrivello, D.D.S. Roberts and Peterman most recently appeared in Guys & Dolls. Jacob Peterman & David Roberts in "Guys & Dolls"
The female trio of Chiffon, Ronnette, and Crystal will be played by Ashlee Anne Vitz, Hannah Brattain, and Mira Hoffman. An assortment of other roles will be played by Cameron Callan. The voice of the extra-terrestrial plant Audrey II will be provided by Dale Grove. Bryan Schroeder is the director. Musical director is Kathi Elliott and choreographer is Deborah Grammel. Marilyn Burdsall is the pit pianist. Assistant director is TJ Tincher, and Sarah Bond is assistant choreographer. Technical director is Matt McClaine.